We’re always happy to find casinos which offers options differing to the norm, and when it comes to Drake Casino, that’s exactly what you get. The fact that you’re able to make deposits with Bitcoins is just one of its several perks, but we’re getting ahead of ourselves there. The platform itself was established back in November of 2012, so it’s had a few years to really solidify its existence in the online casino world. It’s powered by Betsoft and holds a gaming licence provided by the eGaming organisation in Curaçao. The platform itself, while accepting US-based players, doesn’t give its registered users any other option than to use the USD as their currency. Furthermore, the website can only be viewed in English, perhaps making it a little restricted to those who don’t speak the language. However, it is accessible via mobile devices as well as your desktop computer, which allows gamers on the go to play the game incorporated into the platform. As far as the website itself goes, there’s a very sleek and ideal design included on the home page. It’s mostly designed in deep greys and blacks, but the splashes of colour from its main banner and logo are just enough to stand out. Then again, this is after all a Betsoft casino, and they don’t do things by halves. 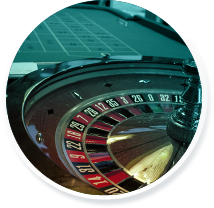 Along the top, you have your navigation bar, allowing you to access the online casino games, tournaments, the cashier and other regular options. There’s also a scrolling graphic in the middle of the main page, advertising some of the games which are available to access at the site. The casino itself is flash-based, meaning that it works well across a variety of devices, both home computer related and mobile. This does seem like quite a high amount when you compare it with many other online platforms and their welcome offers, but stick around to see what else has been made available by the site. There are frequent deposit bonuses for all returning customers, depending upon your VIP level status. Everybody is automatically included in this upon signing up and depositing, although larger bonuses are made available the higher up the ladder you are. Furthermore, there are frequent promotions upon which you can take advantage of, such as the ‘Monday Spins’, which allows you to receive 100 freespins on any of the platform’s eligible games just for depositing $50 every Monday. There are various different methods of being able to fund your account at Drake Casino, starting with the frequently offered Visa and MasterCard products. There’s also the chance to utilise direct cash or quick cash payments, but the big point about being a member at this casino is the fact that you can utilise Bitcoins as well. Using this method to fund your account will provide you with a depositing option with instant approval, and you can deposit up to $2,000 in Bitcoins at once as well. Furthermore, you’re able to use this option to make withdrawals as well, with up to $2,000 able to be taken out of your account at once. As far as support goes, players have access to a live chat function in the first instance to receive the help they need. Not only that, but there are phone numbers available for both US citizens and international players, while several different email addresses can be utilised in order to send a message to the support team. This casino makes use of software from two different providers, and one of these is fairly obvious. Because it’s a Betsoft casino, there’s bound to be Betsoft games on there. However, these products are joined by Arrow’s Edge options, and you’ll find these in the ‘Games’ section of the website. On this page, the games are separated in to various different categories, including ‘5 Reel 3D Slots’, ‘Table Games’ and ‘Multi Hand Video Poker’, to name but a few. As far as the slot games go, these are what make up the biggest majority of products available, so you’ll find titles like ‘A Night in Paris’ and ‘Out of this World’ can be played. Joining these, you’ll be able to access a total of 25 separate table games, including options like ‘Tri Card Poker’ and ‘European Blackjack’. Video poker is split into four different categories as well, including ‘Single Hand Video Poker’ and ‘Cash Grab Video Poker’. Both scratch cards and speciality games have also been added to the platform, although there’s only one of the first, and keno games make up the most of what’s available in the second. Drake Casino is one of those platforms you just can’t stay away from. Its design, its features and its welcome offer are all so intriguing and welcoming that we always want to play our favourites there. Plus, the fact that we can use our Bitcoins there is perfect!